After test page ads for an Apple TV and other Apple gear appeared on Staples’ United States web store, and following hints Staples execs dropped which pointed to the retailer partnering with Apple on carrying various products in its Stateside locations, the new Apple-focused mini-store has gone live over at the Staples web store. Only accessories are being carried at the moment, with the iMacs, iPhones, iPads and iPods all noticeably absent from the store’s offerings. 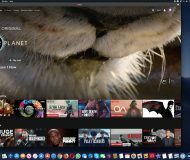 The deal is a first for Staples’ US locations, even though the firm has been selling Apple products in Canada and internationally for some time. 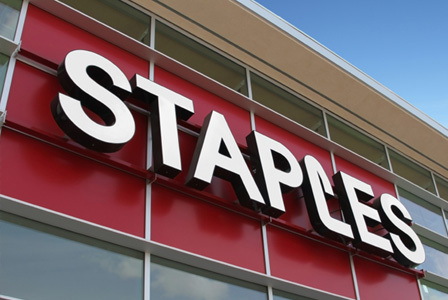 Customers with business accounts with Staple can also shop Apple products over at Staples now. The Apple mini-store currently includes iPad accessories, Mac accessories, iPhone accessories and iPod accessories. 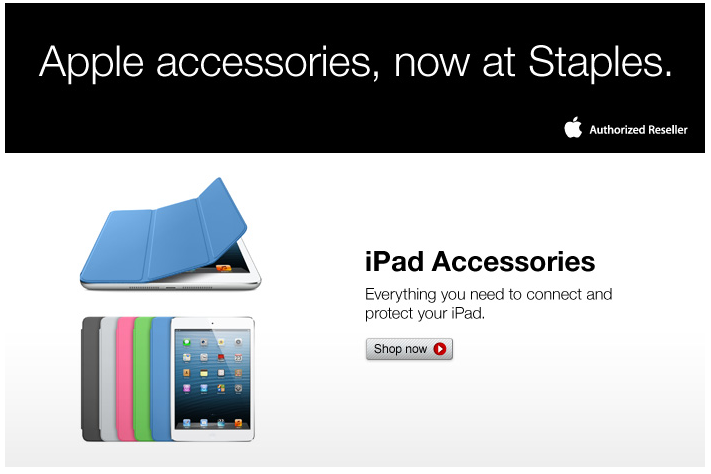 No word on when and if Staples’ physical US outlets will start selling Apple products and accessories.